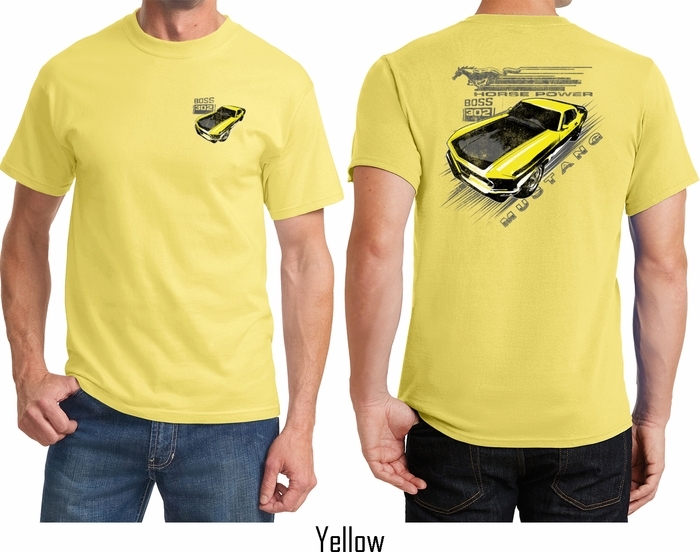 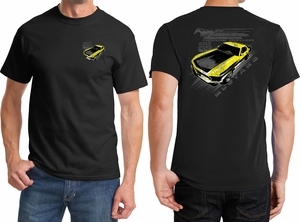 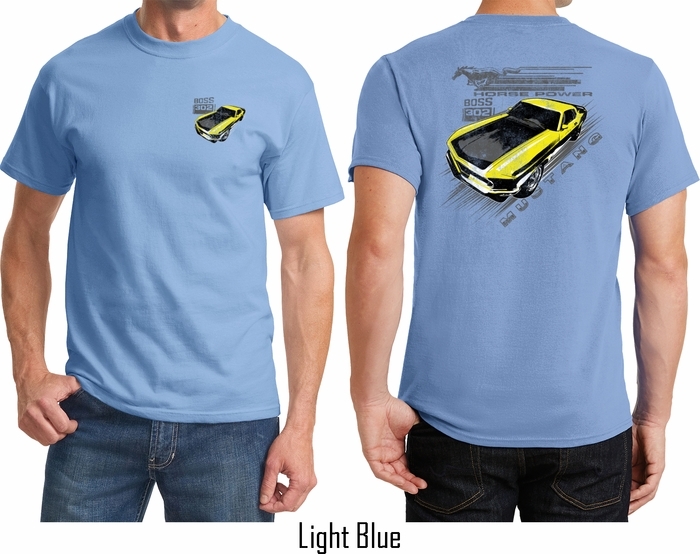 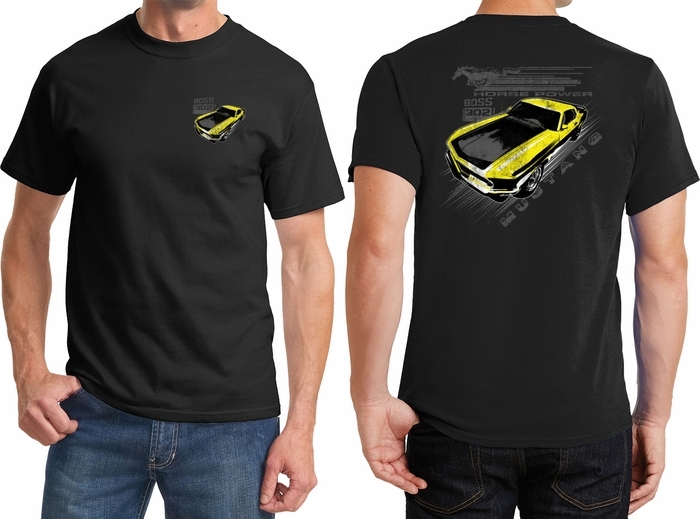 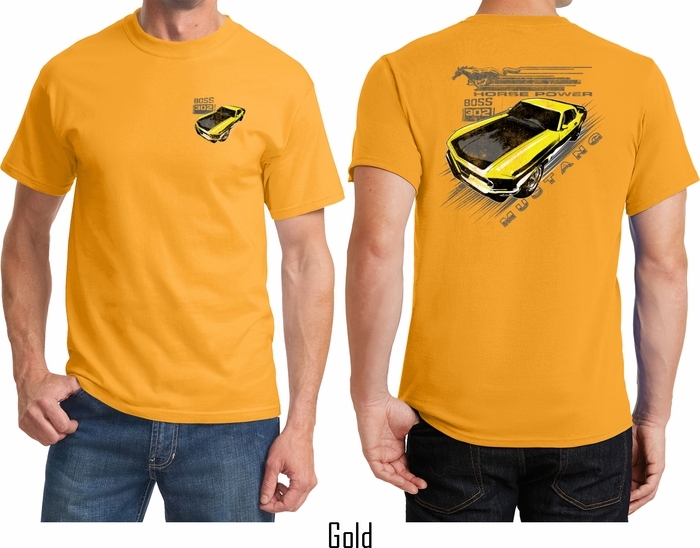 A mens t-shirt featuring a vintage yellow Ford Mustang Boss 302 on the front and back. 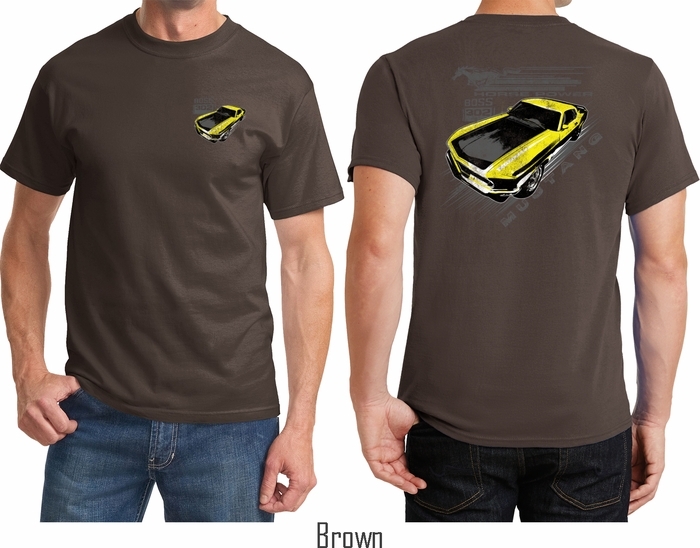 This mens tee makes an awesome gift for all Ford car enthusiasts! Our mens shirt is made of 100% cotton. (Ash is made with a blend of cotton/poly) Available in sizes Small through 6XL. Machine wash cold with like colors; dry low heat.